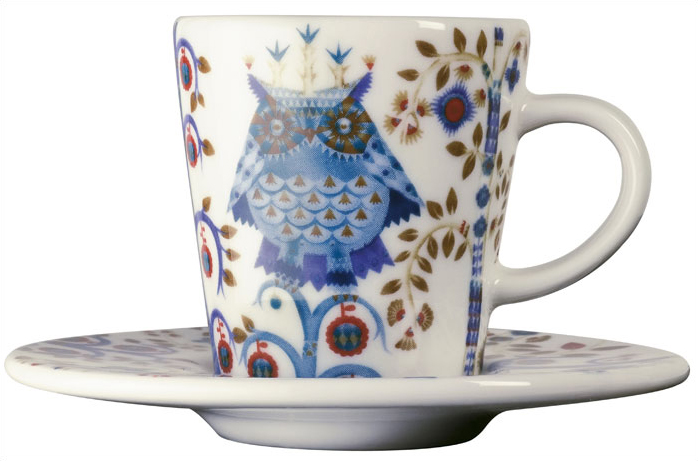 The Iittala Taika espresso cup and saucer are part of the whimsical Taika series, illustrated by Klaus Haapaniemi for Iittala in 2007. Available in white, blue and black the design draws upon folklore for a fanciful design that is visually stunning. 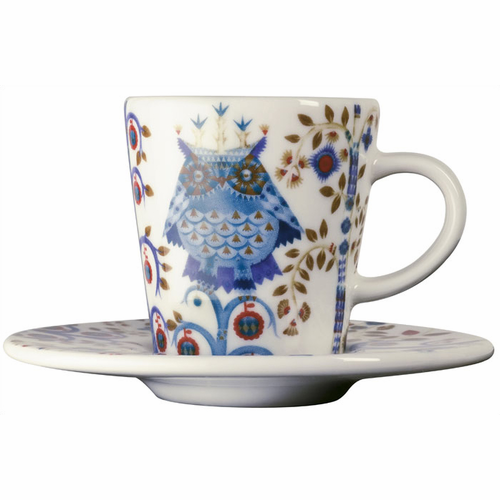 Taika means �magic� in Finnish and the classic forms designed by Heikki Orvola combine well with other Iittala collections, brings a playful magic to your table. Iittala�s Taika series was born of two designers, Klaus Haapaniemi whose illustrations grace the forms designed by Heikki Orvola. Klaus Haapaniemi, born in Finland in 1970, is known for his fanciful designs and whimsical patterns. He is considered a "rising star" in the illustration and design world. Born in Helsinki, Finland in 1943, Heikki Orvola is a leading figure in Finnish design, having been awarded the prestigious Kaj Franck prize in 1998.